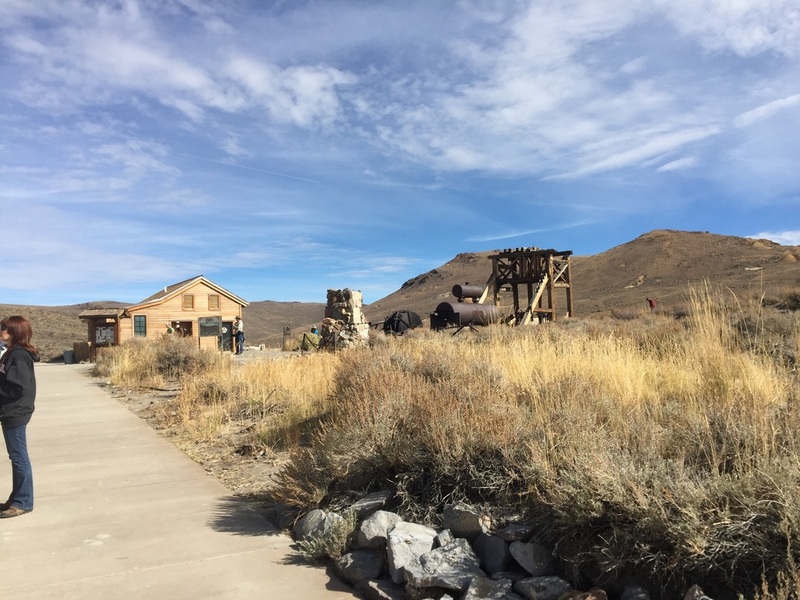 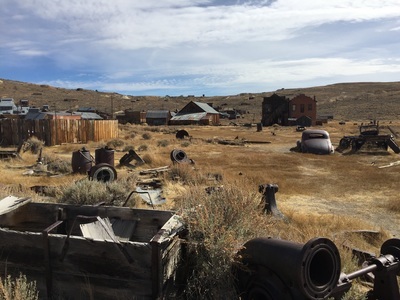 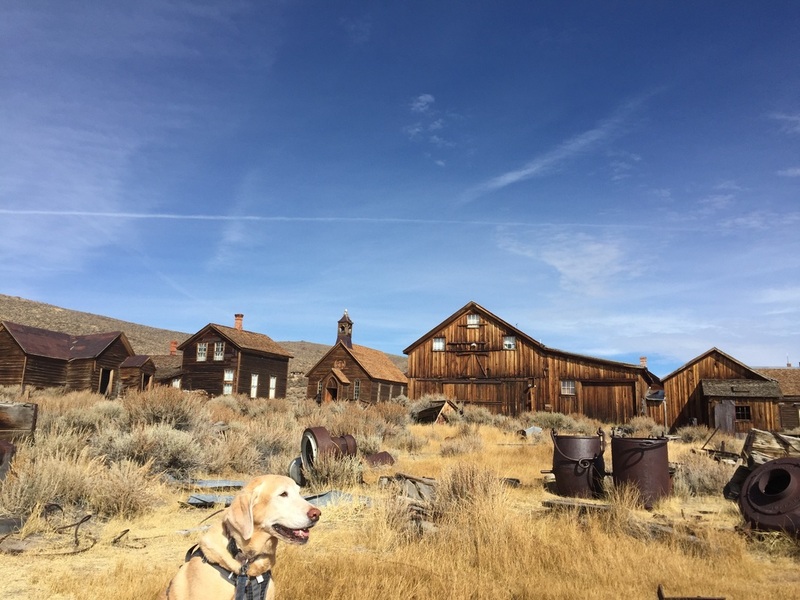 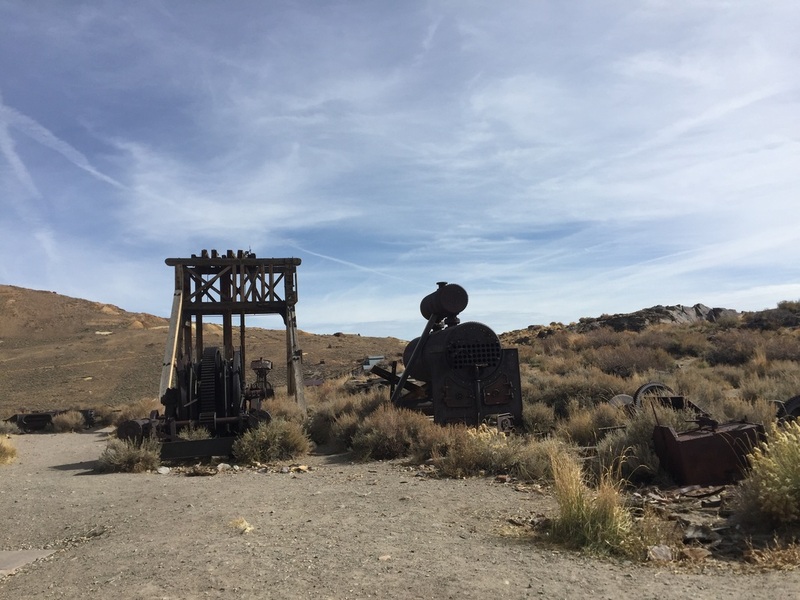 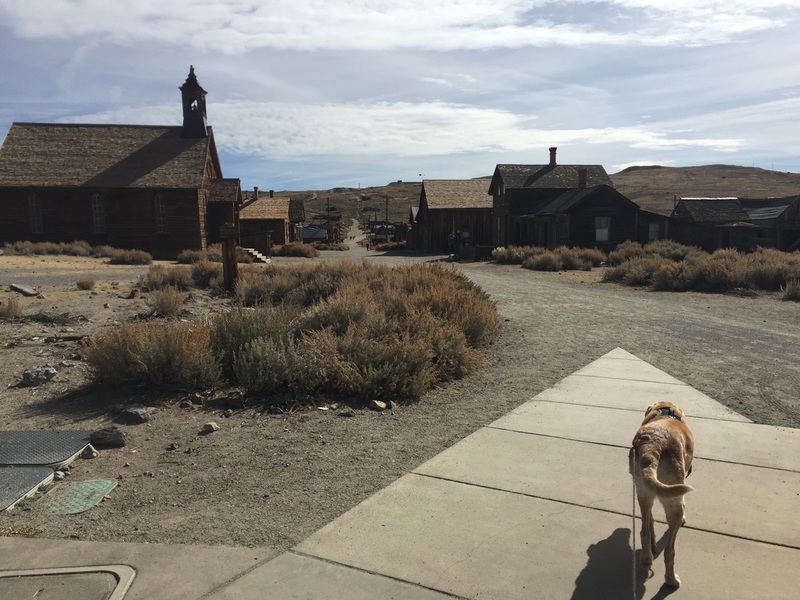 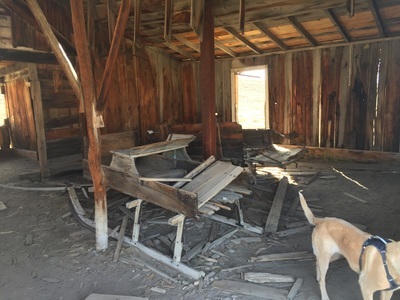 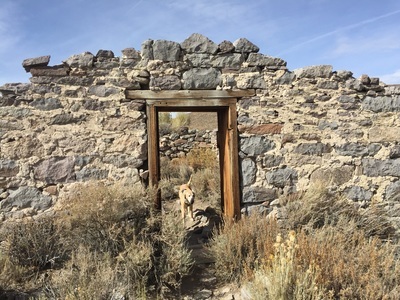 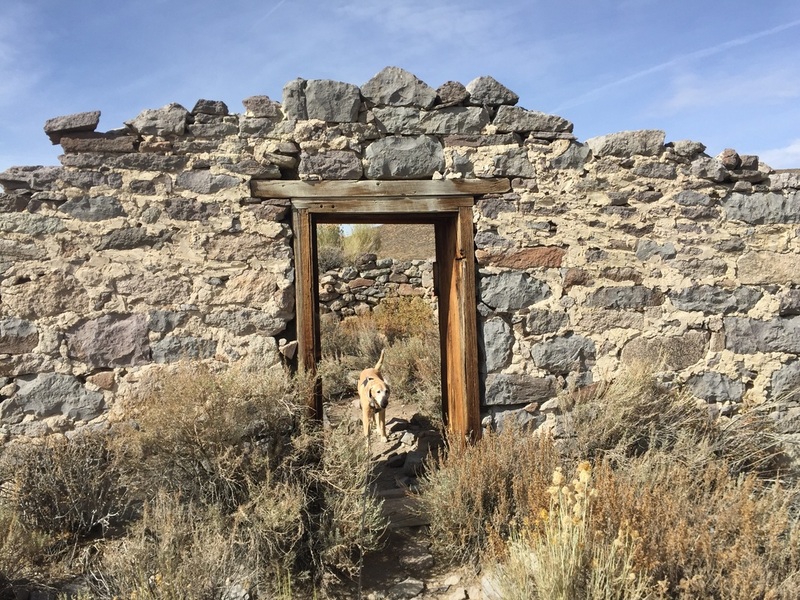 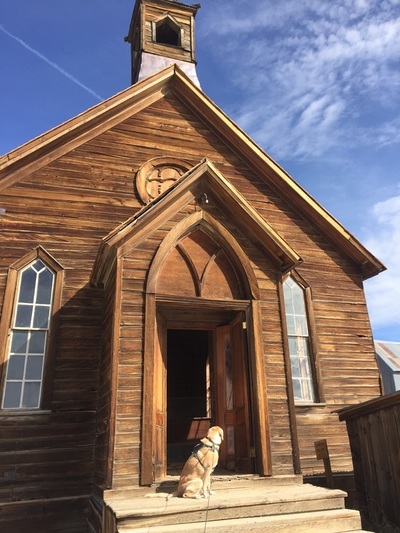 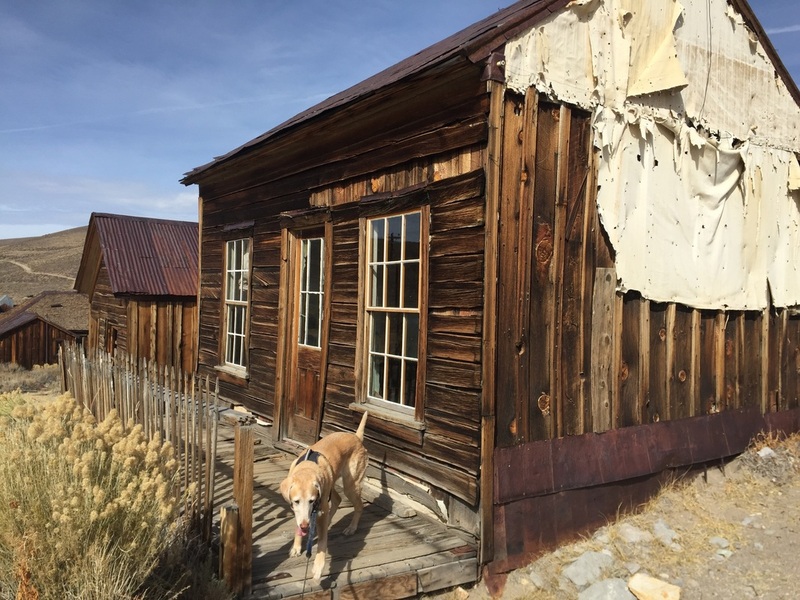 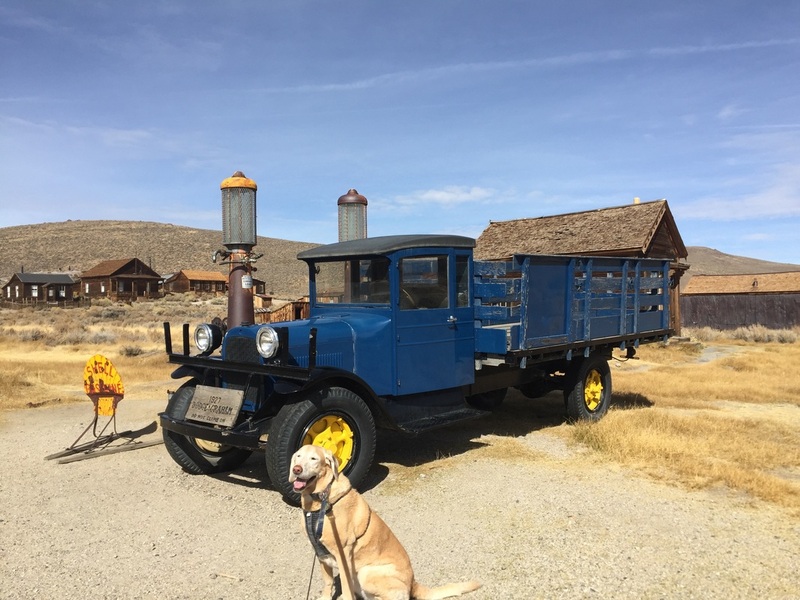 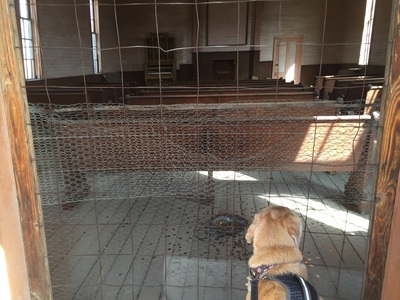 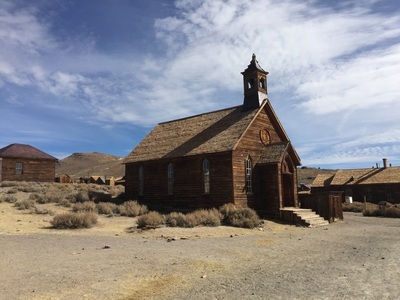 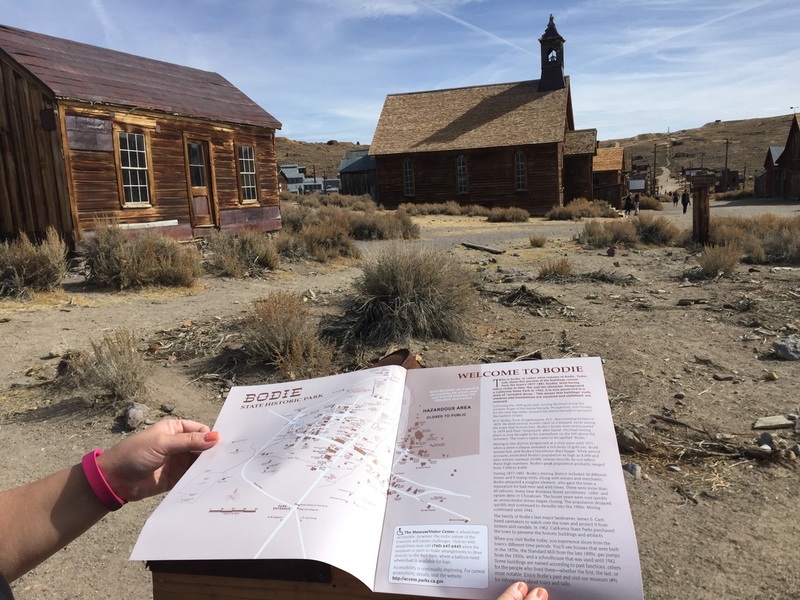 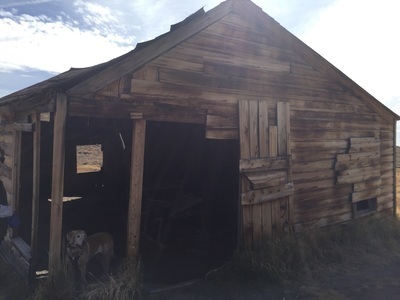 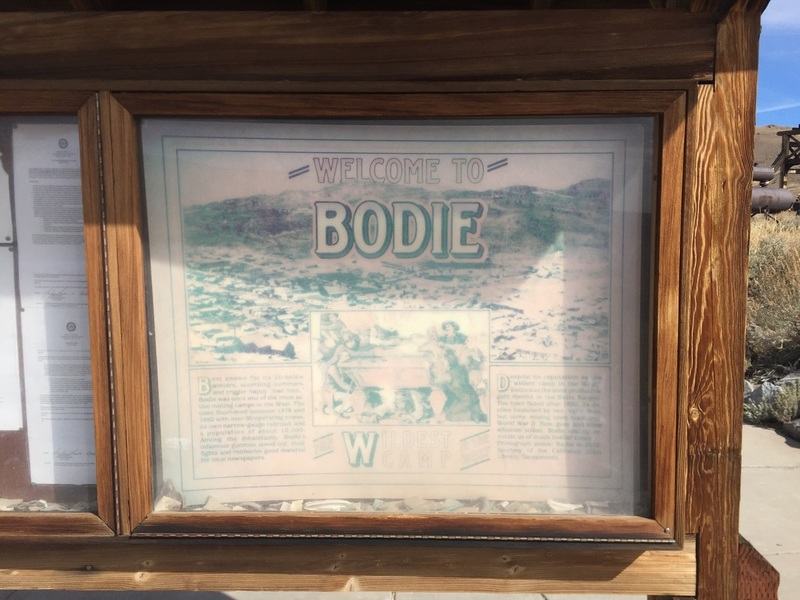 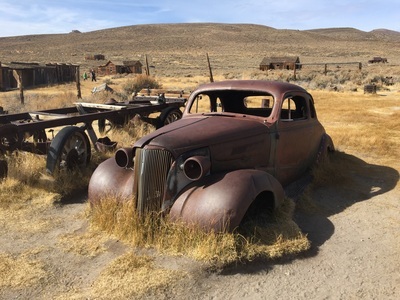 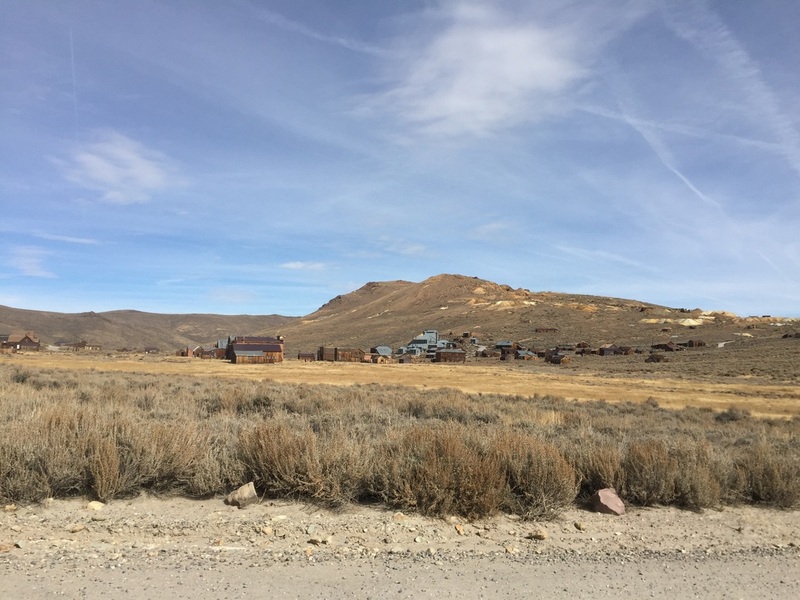 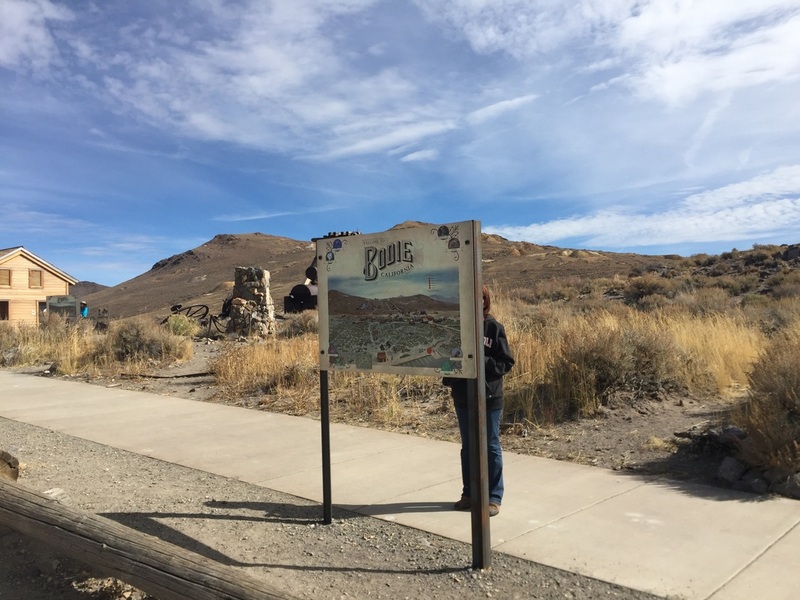 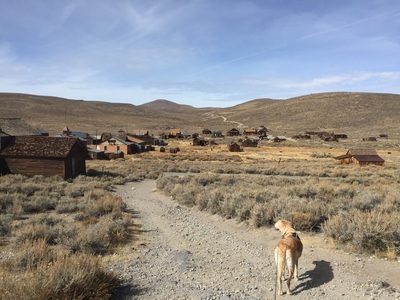 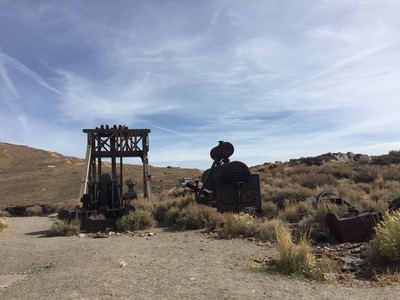 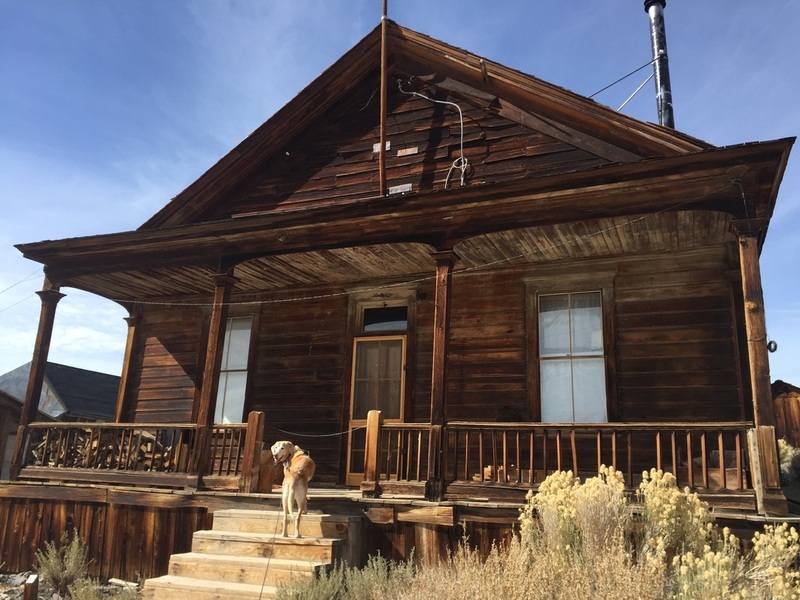 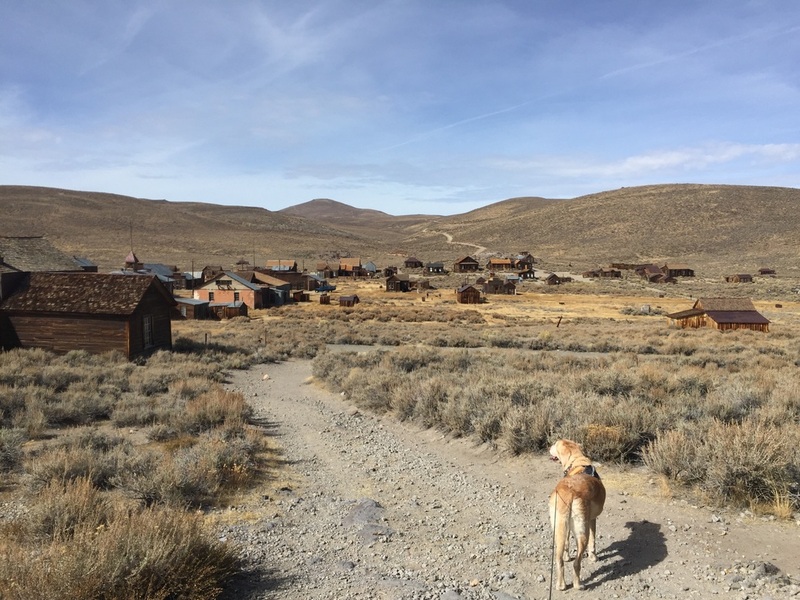 Address: 38.203856, -119.019538 Off of Highway 395, you will see a sign for Bodie at the junction to SR-270. 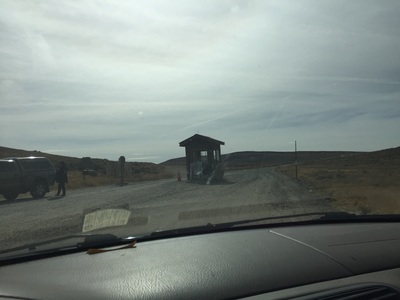 Follow this paved road for 10 miles, then you will reach a dirt road. 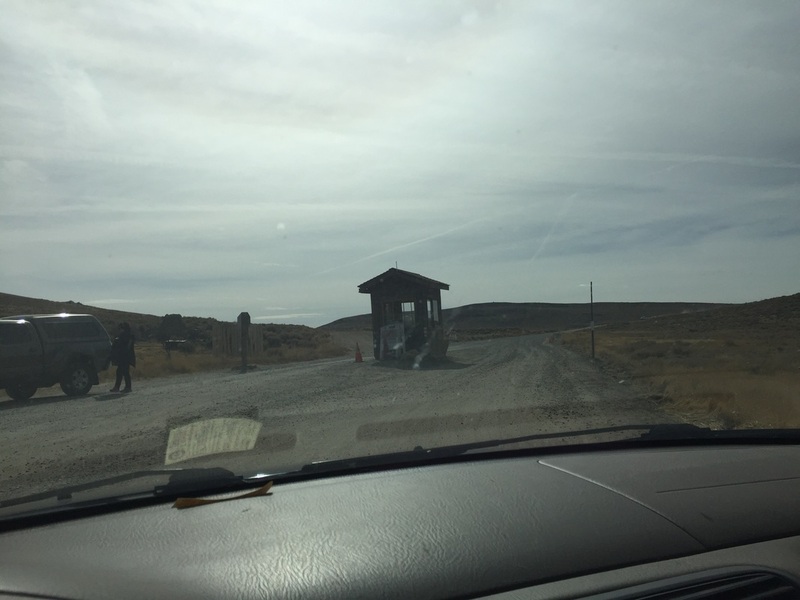 Take this road for 3 miles until you reach the parking lot. 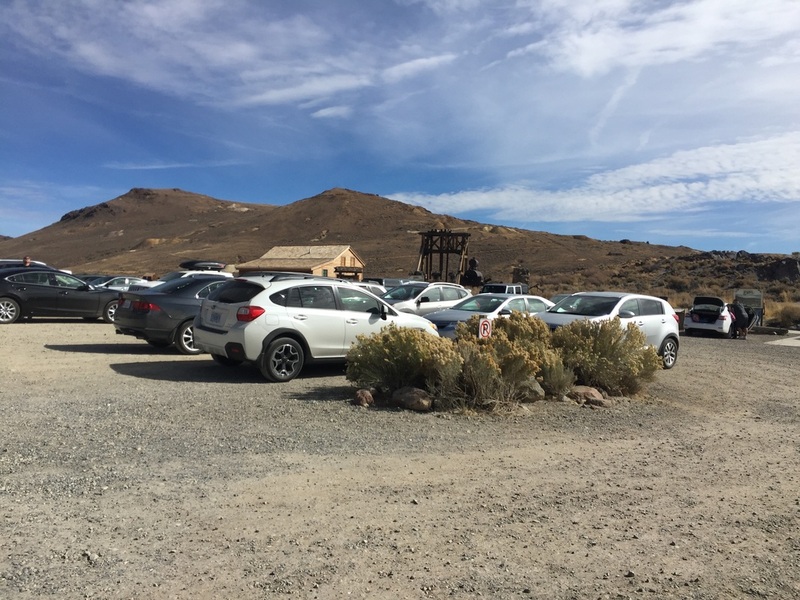 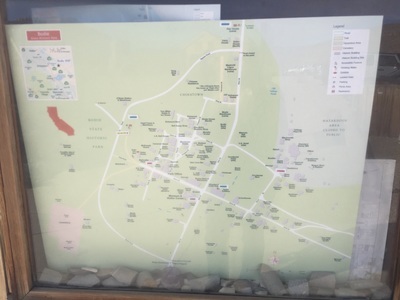 Parking: Large parking lot available at the entrance to the town. Fee is $5 per person ($3/ children) at the self-pay station. 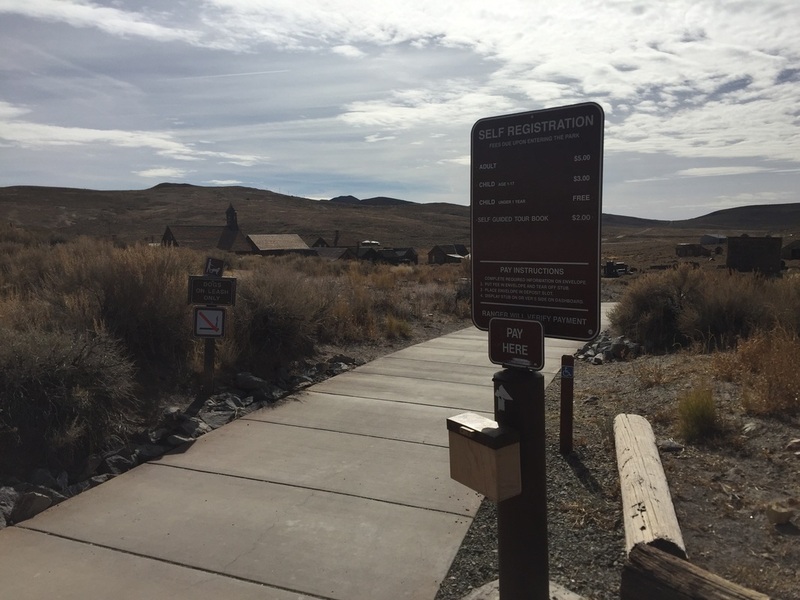 Hours: Mar18-Oct31: 9 A.M. to 6 P.M., Nov1-Mar17: 9 A.M. to 4 P.M.
Best time to visit: Spring or fall (temperatures soar in summer, and the trails are fully exposed. 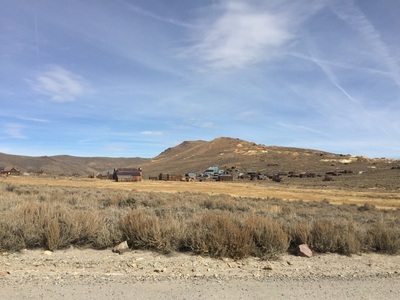 Sonora Pass and the road leading to Bodie are closed during winter). 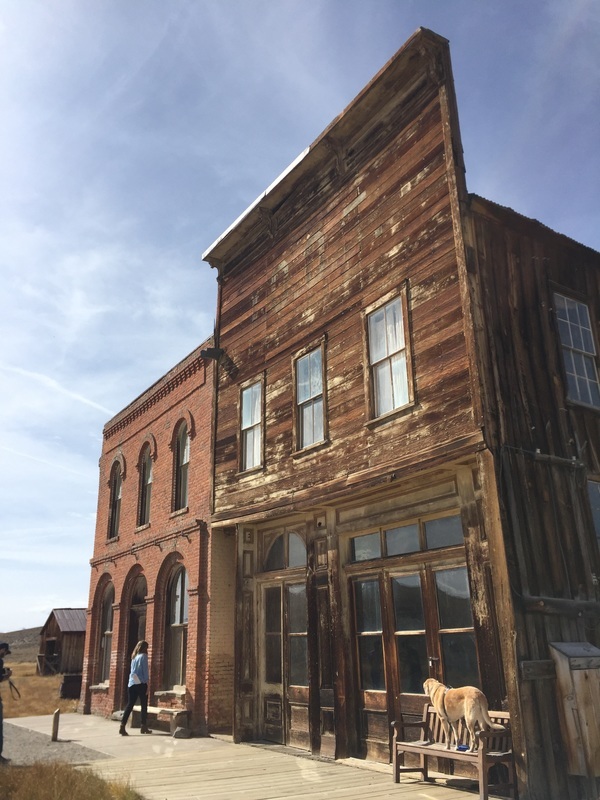 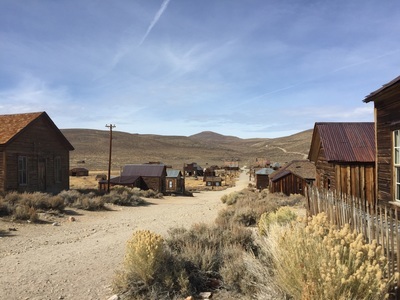 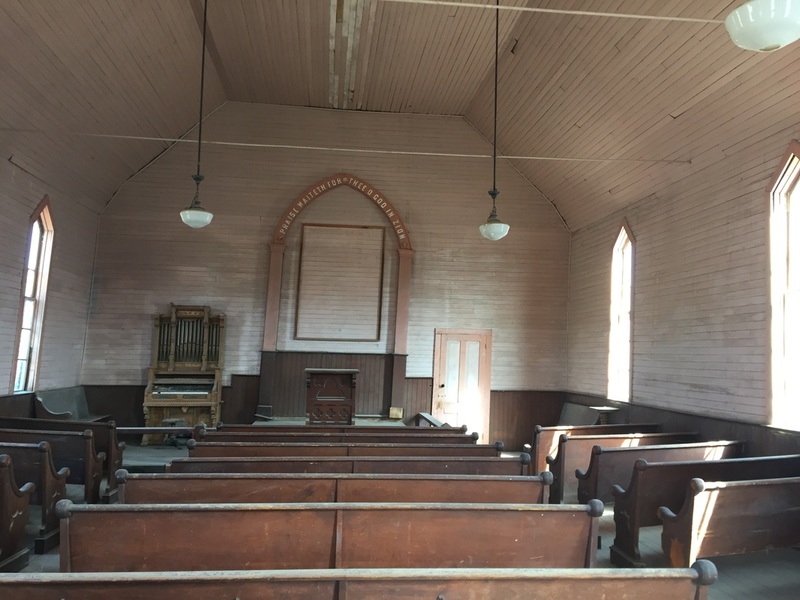 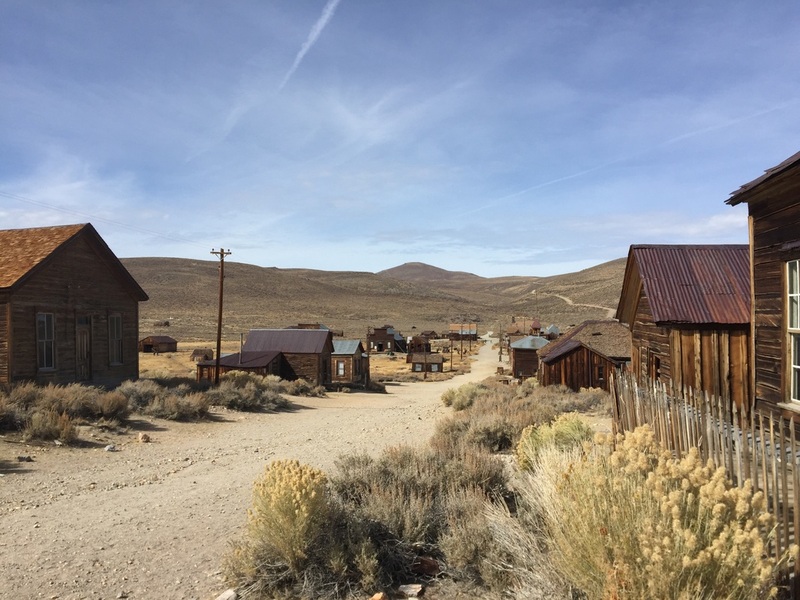 Description: Explore a gold-mining ghost town with a rich history from 1876-1915. 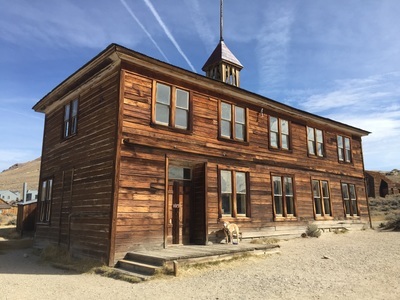 Over 100 buildings are spread throughout the park, and you can walk up to nearly all of them and peer in the windows. You can even enter a couple of the buildings. The town also has historic equipment, cars, and even a gas station. Many of the buildings are in the flat area near the entrance, but you can make this into a hike by walking up hill and exploring all of the buildings along the ridge. Restrooms with flushing toilets and running water are available in the parking lot. 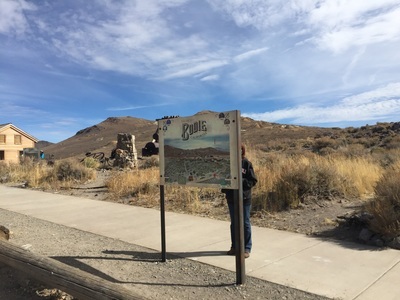 A water fountain is available at the path leading into the town. 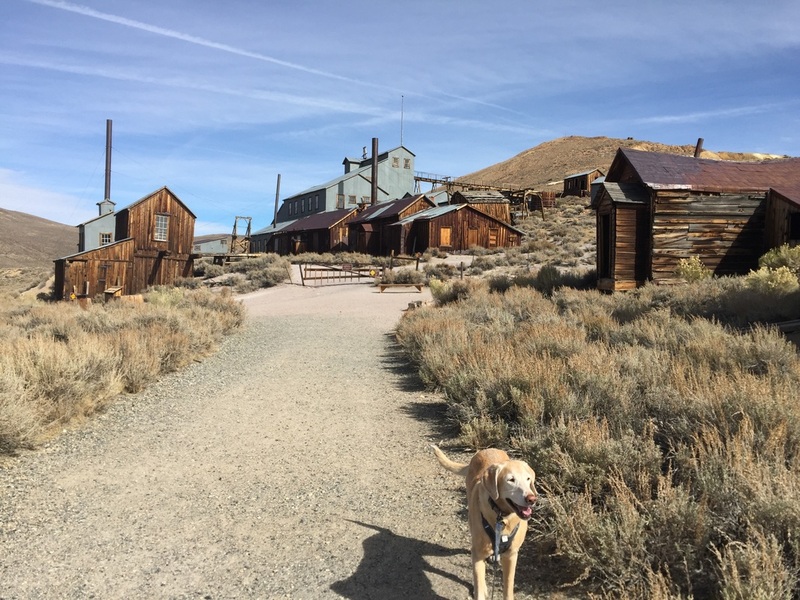 Bring plenty of water for you and your dog.